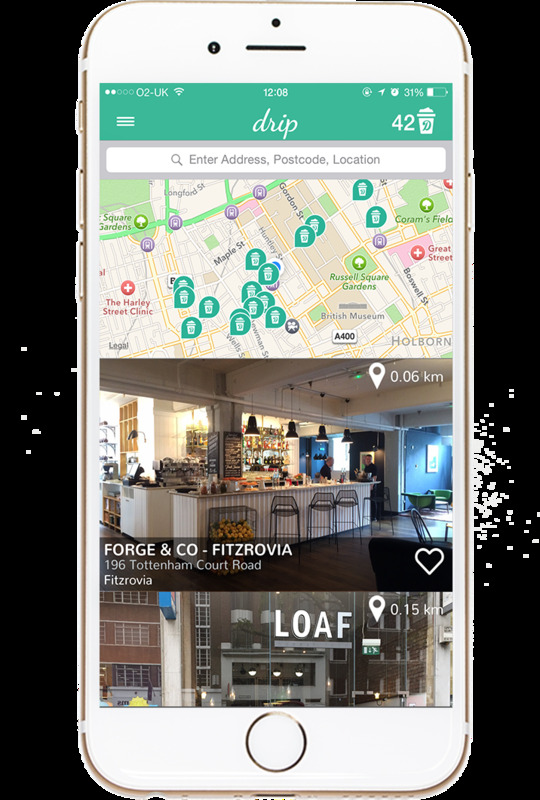 The future of London startup DripApp, which allows people to pay for discounted drinks in certain London coffee shops via an app, hangs in the balance after easyJet founder Stellios Haji-Ioannou withdrew an investment offer. The aviation mogul was preparing to invest up to £500,000 in DripApp at a £2 million valuation, according to Ruben Grigri, the cofounder of DripApp, which takes a commission when any of its 30,000 users places a drinks order through its mobile app. But Grigri told Business Insider on Tuesday that the billionaire withdrew his investment offer after the UK voted to leave the EU — a decision that cost easyJet £40 million in four weeks due to the crashing pound. Haji-Ioannou was initially willing to invest the full £500,000 that DripApp needed if the company agreed to some sort of rebrand that brought DripApp closer to easyJet’s own brand, according to Grigri. That is likely to have involved adopting easyJet’s distinctive orange in DripApp and possibly renaming the startup to “easyCoffee” or “easy” something else, which DripApp wasn’t too keen on. Haji-Ioannou was also willing to invest £250,000 in DripApp if it refused to rebrand. “On the day of the Brexit, easyJet lost 42% of its valuation,” said Grigri, who says he met Haji-Ioannou on three separate occasions, including once at his home in Monaco. “So I said: ‘OK it’s not a good moment to chase him.’ So we didn’t chase him for one or two weeks, because I knew he was very busy. After rejecting the offer, DripApp attempted to raise £200,000 on crowdfunding platform Seeders but it terminated the campaign after just three days because there wasn’t enough interest. “It wasn’t a good idea to be honest,” said the French entrepreneur. 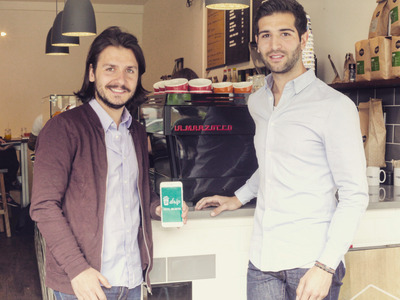 DripAppDripApp cofounders Jeremy Cortial (left) and Ruben Grigri (right). 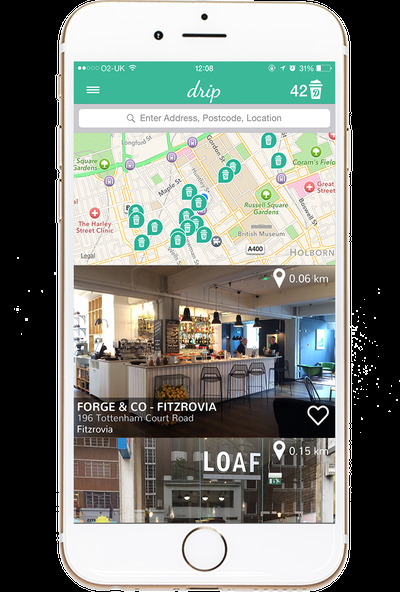 DripAppThe DripApp allows people to find coffee shops in London and buy discounted drinks from them. In a bid to cut costs, the startup has moved out of a WeWork coworking space and there are just a handful of people working on the app full time. Now DripApp is looking for potential buyers and there are two or three interested parties, according to Grigri. “We would love to pursue the app but we really need some money,” said Grigri. “We were planning to add food items so you could get like a croissant or something at the same time but we need the money to pay the developer. But the founders of the company aren’t giving up on coffee altogether. They have built a website called DripHub, which is targeted at coffee shop owners. The website, which launched last Friday, sells coffee, cakes, and pastries from reputable brands, as well as things like cups, payment terminals, and iZettle devices.